After working on this project for 4 days straight I was sick of looking at it! Finally I got back to working on it and finished it over the weekend. I precut lengths of yarn and joined when I ran out of yarn. It took a long time but the effect was different. The corner to corner pattern was once again a winner. 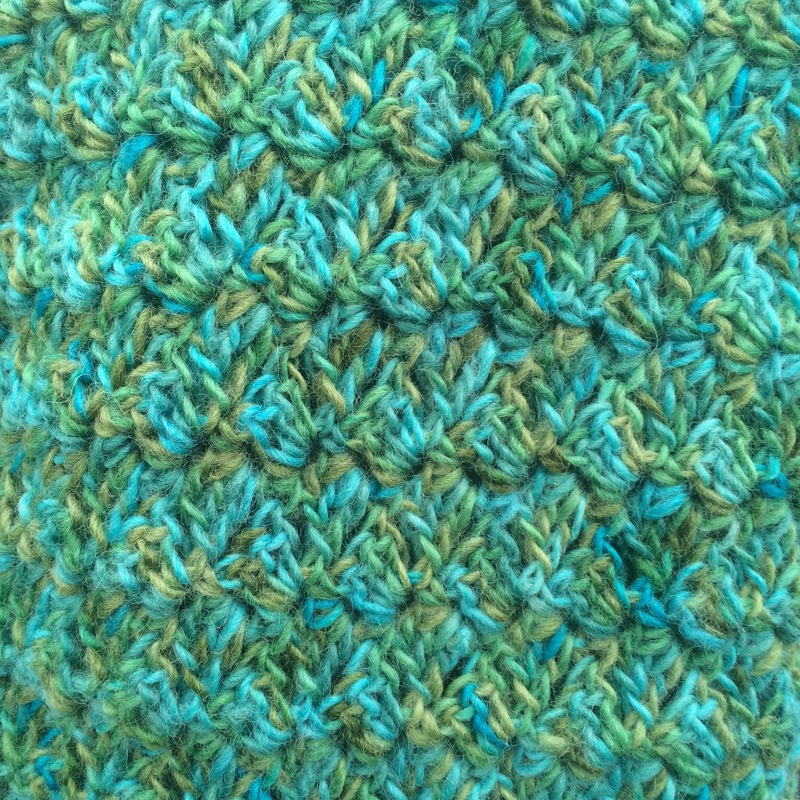 To finish I bordered it with a row of single crochets and a row of double crochets. 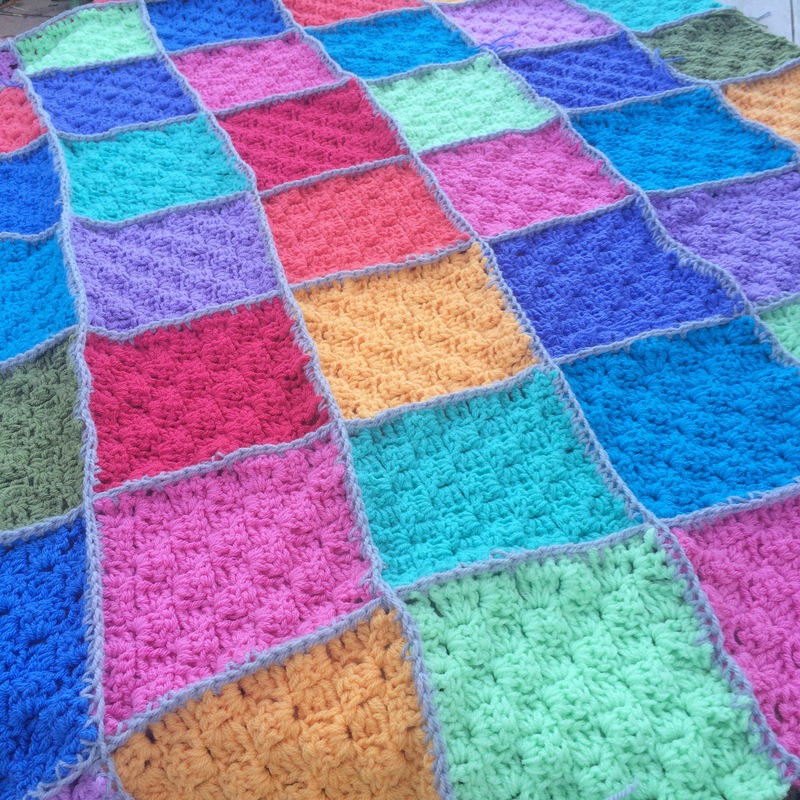 This is a lovely winter feeling blanket which will remind me of the adventure the blanket went on. I finished this blanket in record time, 8 days! I wasn’t sure if this idea was going to work and it wasn’t until I finished crocheting the pieces together did i realize that it did. 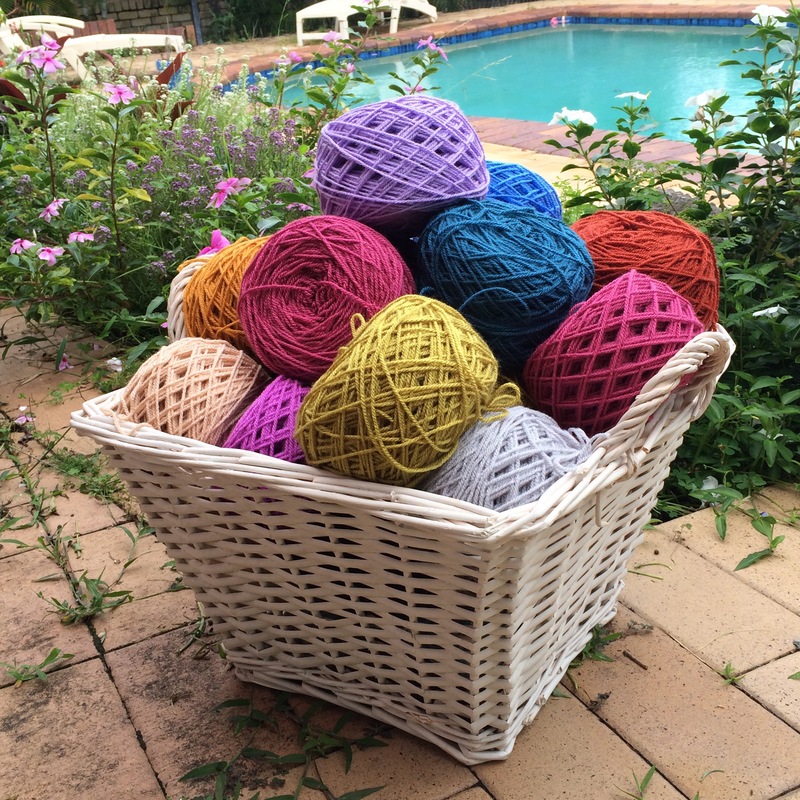 I wanted a brightly coloured blanket and found some great yarn at Spotlight. It took 2 balls of white yarn, and 1 and a bit of the other colours to make this. The pattern is corner to corner but I never decreased the squares and kept them triangles. This created a scolloped edge. I did 4 rows of each colour then 1 row of white. 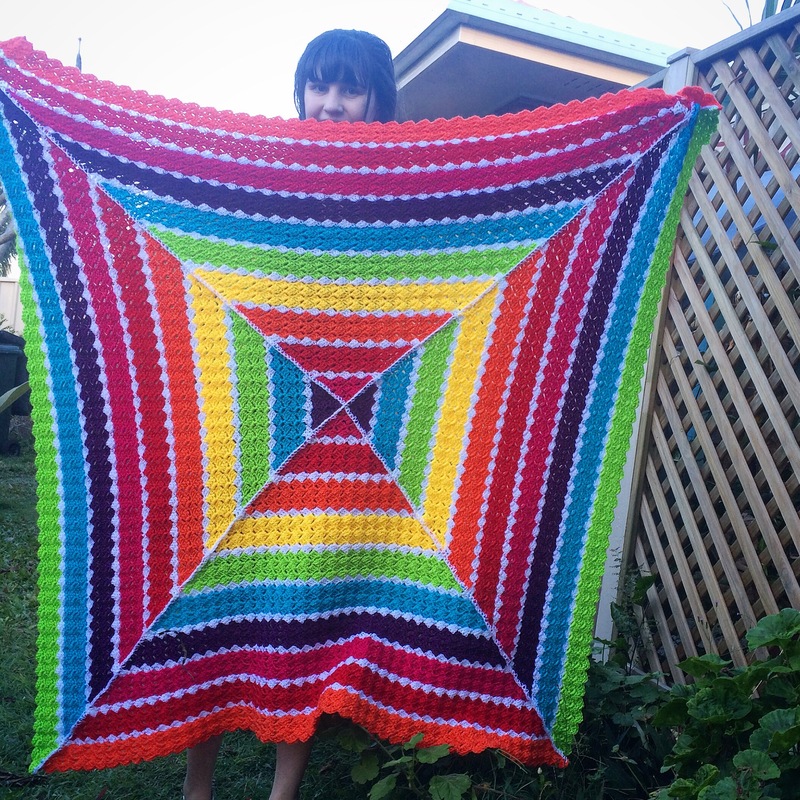 I finished this retro inspired blanket last week. Inspired by googling photos of those awesome crochet blankets I set out and brought some yarn. 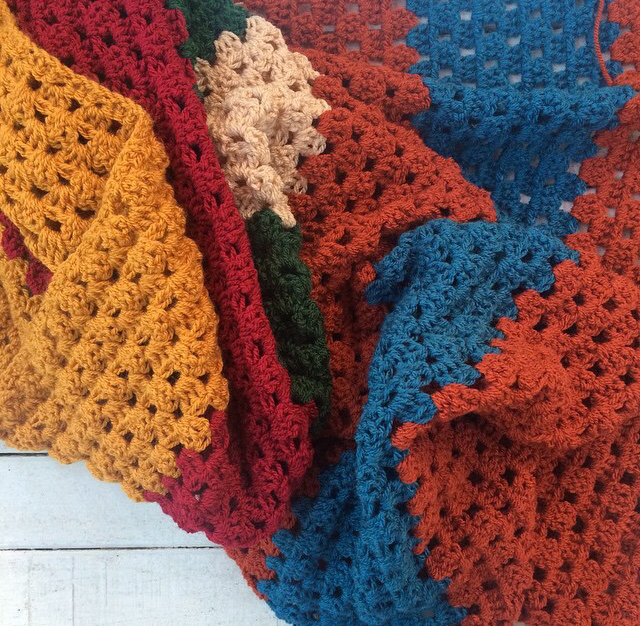 The burnt orange, mustard, deep maroon, cream, bottle green, and petrol blue really made this blanket come together! 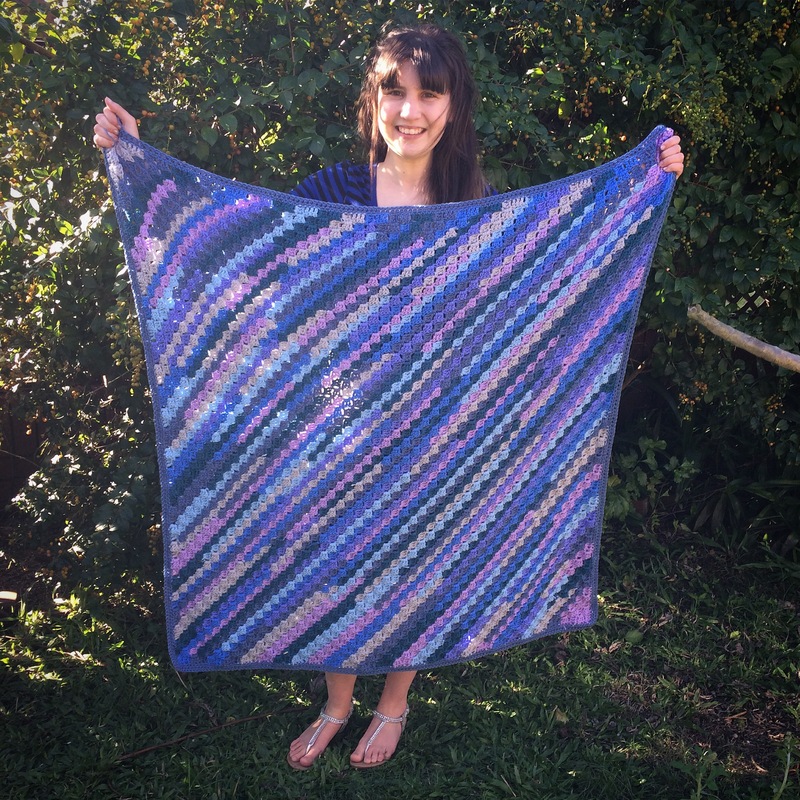 The pattern is a simple granny stripe which works up fast. I used two balls of wool per colour, but only 1 for the blue. I’m not sure if I should add a border to this one or leave it. Possibly a grey or brown to keep the retro vibe alive. 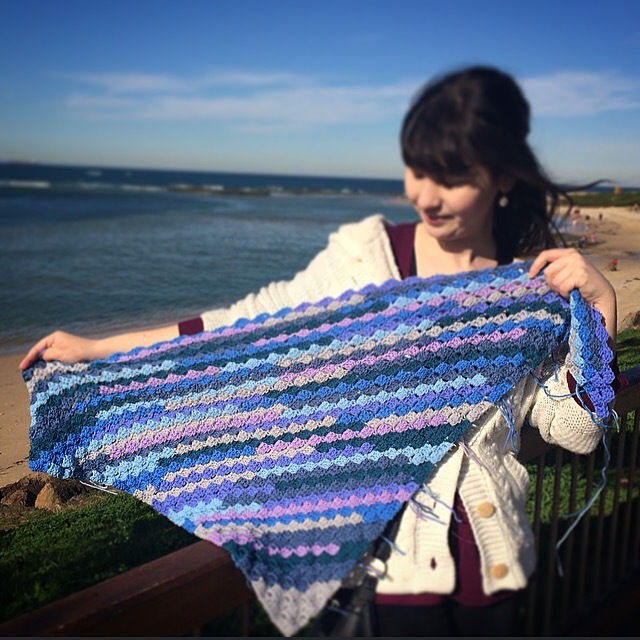 I haven’t had a granny blanket for a while, but I’ll be sure to make them in future!